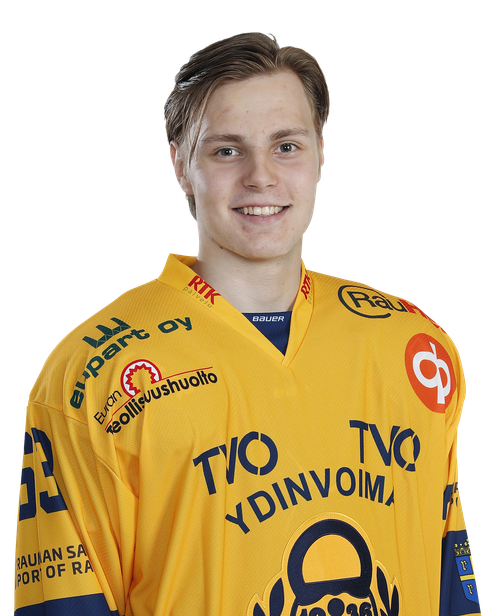 Lukko played only with three lines and Petman gained 23 minutes of ice time. The forward had three shots and he made the only goal of the game. He carried the puck to the offensive zone, but lost the puck. However his brother Ville retrieved the puck immediately, and a moment later Mikko got the puck in front of net and he was able to beat the goalie with a pretty backhand goal. To me, Petman’s skating seems to have clearly improved compared to last season. His movement is better than before and his overall agility has improved greatly, but I think he still makes too wide turns. He was also outside the play a lot and he didn’t get puck too often. He has improved his his defensive game, but it is still a work in progress. The forward has a fine work ethic though and he landed couple of hits during the first period. Petman has pretty good stickhandling abilities. While he often failed with his dekes, this game showcased his poise and his above average ability to handle the puck in tight spaces. He played very basic passing play in 5-on-5, but he did pretty good job at the point in power play. Unfortunately he was not able to show his heavy shot a lot during the game. Overall, the forward is still extremely raw, but he can improve a lot if he learns how to use his skill level properly. Petman was his team’s first line right winger. He wasn’t able to get points but he had six shots in the game. Petman has decent size and he is physically pretty mature for being 16 years old. He has good work ethic and he tried to check the puck at the offensive end constantly but that often resulted Petman going out of position. In this game he seemed to have more effort than hockey sense. His skating is decent but still needs some work, especially the first steps. Forward has pretty heavy shot but it is somewhat inaccurate. He also could improve his defensive play as he was heading towards offense often too early giving some extra room for the opponent’s defenders. He gave a lot of terrible passes during the game but he showed that he has some stick-handling skills making couple of dekes and protecting the puck relatively well. Overall, Petman seemed to have too big role for his current abilities but he is still extremely young and he should be able to improve greatly when he matures.